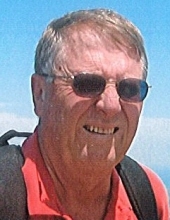 John Lindsay Rummel, 78, of Chapin died Friday, February 1, 2019 surrounded by his wife and children. Born on January 13, 1941 in Vernon, TX, he was a son of the late William Otto and Emily Bertha Kretschmer Rummel. A native of West Texas, he held the Lone Star State close to this heart for the entirety of his life and was an avid fan of the Texas Longhorns and classic country & western music. He also enjoyed boating on Lake Murray, playing golf, gardening and spending time with his beloved grandchildren. John was also an avid traveler, exploring Europe, the Caribbean and the South Pacific with his wife in recent years. He is survived by his wife of almost 53 years, Jacquelyn Warfel Rummel; his children, Leslie Rummel (Roger Beebe) of Brooklyn, NY, Jonathan Rummel of Asheville, NC and Craig Rummel (Katie) of Blythewood, SC; his grandchildren, Maylee Holbrook, Porter Rummel and Bowman Rummel; and his brother, W. David Rummel of Richardson, TX. A drop-in gathering in celebration of his life will be held from 4:30 to 7:00 PM on Tuesday, February 5, 2019 at the Night Harbor Clubhouse, 824 Yacht Club Pointe in Chapin. In lieu of flowers, the family suggests donations in John’s name to The Nature Conservancy, 801 Gervais St # 202, Columbia, SC 29201. "Email Address" would like to share the life celebration of John Lindsay Rummel. Click on the "link" to go to share a favorite memory or leave a condolence message for the family.